If you can dream it up, odds are we can build it! Gas block combs and Pin-and-Welds! We can always provide a front sight / gas block combo to make your rifle look and feel more tactical. Plus, if you want to shorten your rifle up a little, we offer pin-and-weld services! If you already know what accessories you want on your rifle, why not just have us build it for you, just the way you want? 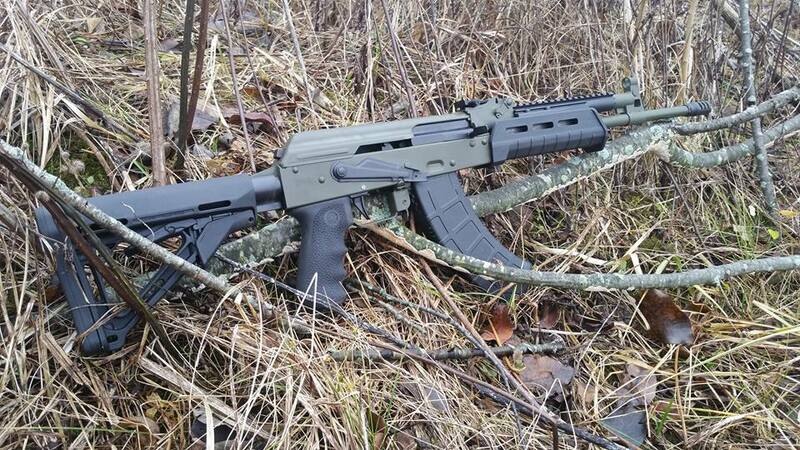 We can build you a rifle almost any way you want. Pin-and-weld? No problem. Ultimak and combo block front end? No problem. Custom colors? We've got it covered. 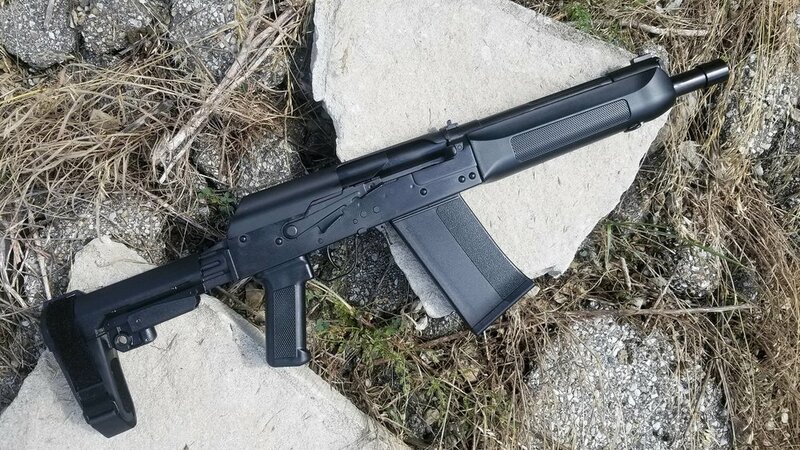 On top of manufacturing the mighty SPETS-12, we can also help you modify your AK shotgun. Galils, Tantals, Sidefolders, Underfolders, Spikers... We've built them all. 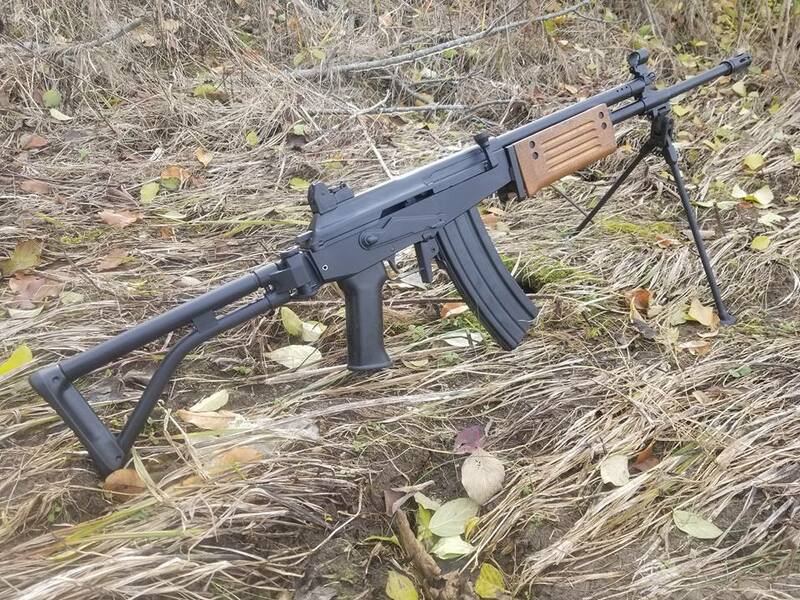 If you want to learn how to build your very first AK rifle, or just put one together with our tools and supervision, take our personalized one-on-one build class! We can build your rifle for you, with your input on how you would like it to look. 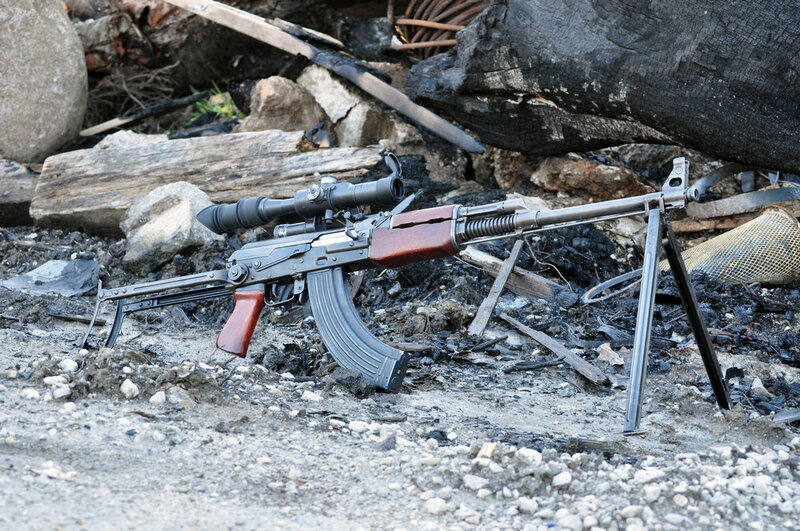 This Romanian PM md65 rifle was provided by a customer. Get your hands on some of the absolute best furniture sets on the market. Our sets are made from authentic russian military surplus sets that have been reborn as something truly incredible! All of our rifles come with a sleek Cerakote finish, which offers the best corrosion resistance on the market. Just like our Cerakote finish, we offer KG Gun Kote, which has a slightly different appearance but offers equally effective protection for your firearms. If authenticity is what you're after, there's no reason you have to use modern paint. AWS has access to the real deal. You can see the difference in color, light diffraction, and texture on the real stuff. We can take your dusty old furniture and make them into something mesmerizing, and we also sell brand new sets.